It cannot be denied that skateboarding is one of the most enjoyable and thrilling sports that you can engage yourself with. Skateboarders need to develop a variety of skills before they can perform a trick. Hence, constant practice is required. Aside from that, many may perceive skateboarding is only limited to smooth surfaces only but in fact, there are off-road skateboarding that provides more fun than the traditional way. Hence, we have gathered the top ten best off-road skateboards available in the market today. If you are interested in off-road skateboarding, the following are the top models that you should own. 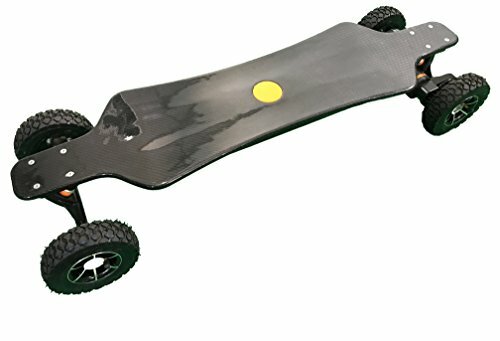 First on the list is the electric off-road skateboard from the MegaWheels. This 34-inch long skateboard is the perfect use for both adult and teenagers. It also has a long battery life that can run up to 20 kilometers per hour when charged fully. The maximum weight capacity for this keyboard is 441 pounds, allowing adults to enjoy this extreme sport. Take note that you cannot activate the skateboard if you are weighing below 66 pounds. 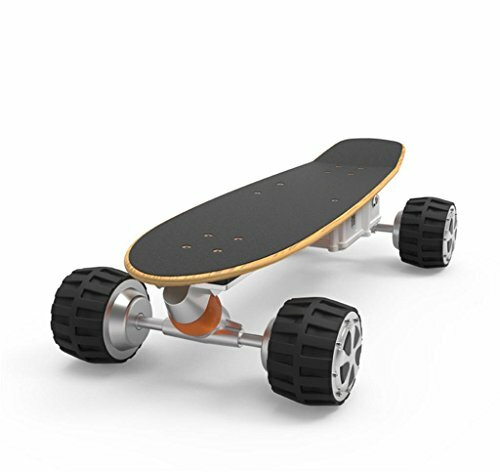 This skateboard is made of aluminum materials and PU wheels that are resistant to wear and tear. It also reduces the vibration when you are skating to give you a smoother glide when practicing. 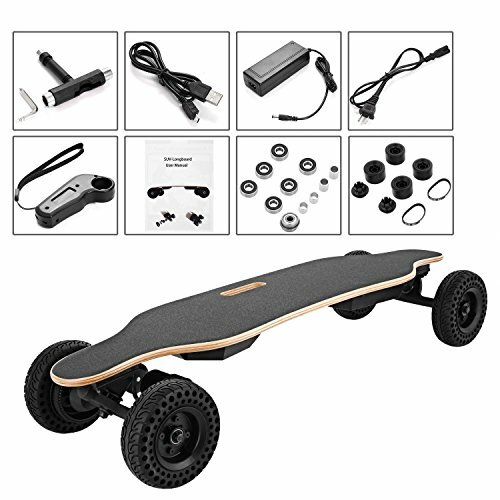 Even though it’s an electric off-road longboard, you need not use a remote control to use the product. It works by the concept of gyroscope and pressure sensors. The package includes a charge, manual, and buyers can enjoy up to one-year warranty upon purchasing the product. Next, we have the electric fiber longboard by Lloyd’s Boards and Bikes. It features interchangeable all terrain and polyurethane tires. Its 2×1600 watt aeromodelling motor is powerful and reliable. Its top speed is 20 miles per hour, and the deck is made of durable carbon fiber. 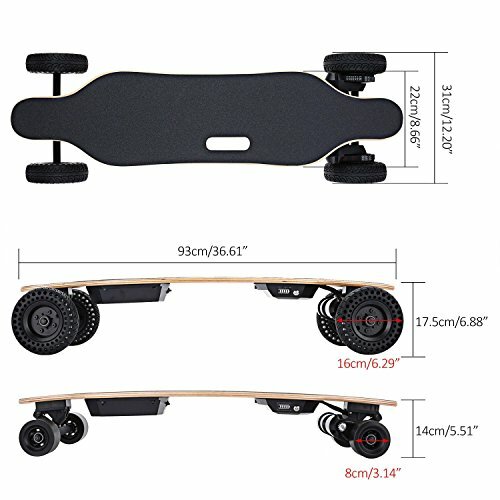 Because of its durability, this longboard can be used by both adult and teenagers. 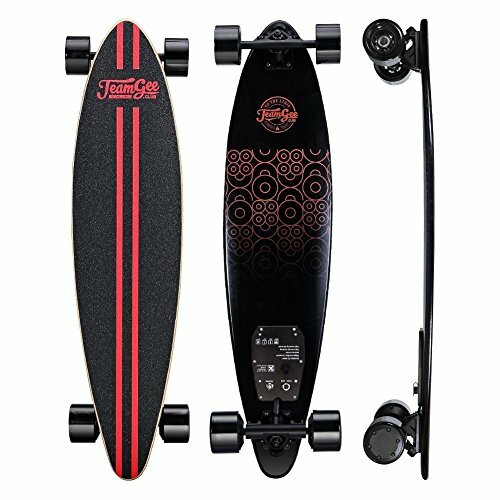 The board only weighs 22 pounds and Bluetooth remote control has a rechargeable battery and built-in flashlight for your convenience. The maximum capacity of this board is only 225 pounds. No need to assemble, it’s ready to use once right out of the box. There is an optional grip tape included in the package. 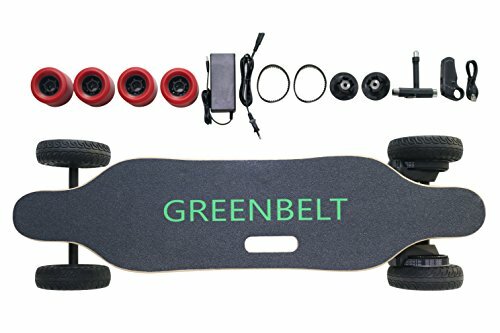 If you are willing to spend a few more dollars, check out the 36-inch electric skateboard by Greenbelt. It is an off-road electric longboard and can also be used as a regular electric skateboard. It comes with two types of wheels. The first is the set of silicone wheels that you can use for off-road such as dirt road, grass, rough pavement, and mountain road. The other set of wheels is 83mm PU wheels that you can use for flat road. You can exchange the wheels in just two minutes only. What we like about this model is that the silicone wheels are softer compared to the traditional rubber wheels in other models we have reviewed. It can reduce a lot of vibration when you’re skateboarding. With its powerful 1800w high-speed motor, you can skate and roam all you want. The deck is made of seven layers of maple and one layer of bamboo for extreme durability that can last for a long time. Another electric skateboard with replaceable off-road wheels is the model from Fashine. It features two modes of replaceable wheels: the silicone off-road tires that are resistant to wear and tear. It’s also explosion-proof, the perfect set of wheels to use in rocky mountain and grassland. The second set of wheels are PU wheels that are durable and designed for the smooth pavement of the city. This skateboard is made of durable 7-ply Canadian plant that is resistant to deformation and splitting, making it an ideal choice for a rough and hard path. The skateboard can accommodate up to 270 pounds. It also has strong dual motors and wireless remote controllers with belt drive dual motors. It’s more powerful, speedy, and easy to maneuver compared to other models. For more durable skateboard, check out the Kalou electric skateboard. It is made of high-quality 7-ply Canadian maple and one layer of bamboo on the bottom of the board. For those who are looking for skateboards they intend for heavy-duty use, this model might be the one that you are looking for. With its dual motors that offers a maximum speed of 22 miles per hour and maximum capacity of 270 pounds, enjoy skateboarding on your countryside the entire day! Similar to the previous models that we’ve reviewed, it has two modes of replaceable wheels. The first set is the 6-inch silicone off-road tires, and the other one is the 80A PU wheels that are both durable. The package includes a long-lasting 8.8Ah separated battery box. Once you fully charged it for up to four hours, you can use this skateboard to travel for up to 13 miles. Next, we have the GZD four-wheel smart skateboard. It features a powerboard two custom high-powered brushless motors with a 15 climbing degree. So far, it provides the fastest speed of 50 miles per hour with strong acceleration. Its maximum load can reach up to 100 kilograms. The package includes a battery pack that can extend the driving range for up to 20 kilometers. We also like its short charging time. 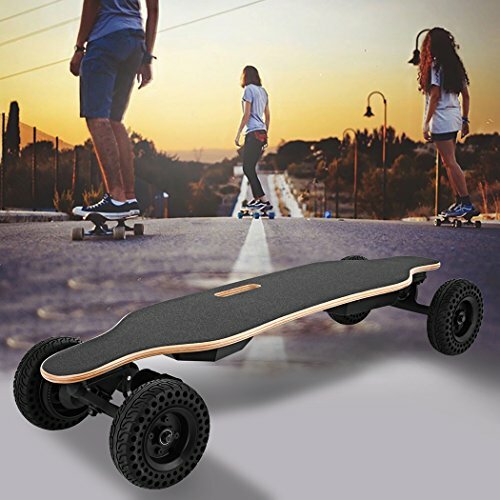 With only 2-hours charging time, you can use the skateboard using its ergonomic 2.4G remote controlling driving modes (speed/energy saving) and direction. It also has a customized 4.5-inch wide wheel design. The anti-skid grip is perfect for off-road use. The Leoneva electric skateboard comes with two kinds of wheels. First is the 6-inch silicone off-road tires that you can use for grassland and mountain road. Second is the PU wheels that are perfect for the smooth pavements of the city. This multi-purpose skateboard is excellent however you like it. The package includes a long-lasting 8.8Ah separated battery box that can travel up to 13 miles in just a single charge. Now you can roam around without spending more money on transportation. It also features a powerful and speedy dual motor that can reach up to 22 kilometers per hour and can climb 10-20 grade hills. Only weighing 16.31 pounds, it’s easy to carry around. The skateboard can accommodate a maximum of 270 pounds. The plank is made of 7 layers of Canadian hard rock maple to make it stronger and durable. Now you can enjoy skateboarding with your friends using this Kemanner skateboard. It features two-mode choice that allows you to replace the wheels depending on the destination that you are planning to go. The silicone wheels are for the countryside, and the PU wheels are the perfect choice for the city streets. It also features dual motors that are more powerful and can provide up to 22 kilometers per hour of speed and climb 10-20 grade hills. The high-performance 8.8Ah separated battery box can travel up to 13 miles once charged. There’s no need to worry about rocky and zig-zag roads thanks to this skateboard. The deck is made of 7 layers of Canadian hard rock maple. Rest assured that with proper care and maintenance, it can last for a long time. 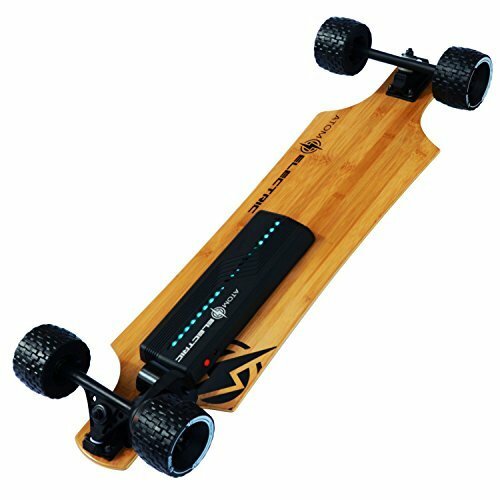 In a reasonable price, you can enjoy the Teamgree electric skateboard made of 11-ply maple wood deck. It can withstand everyday abuse and can also withstand rocky mountain roads even if you use it on a regular basis. The wireless remote control is easy to hold, allowing you to control the acceleration and braking when you’re traveling. It also features two speeds mode and a reversible riding option make sure that you have a safe and secure ride. 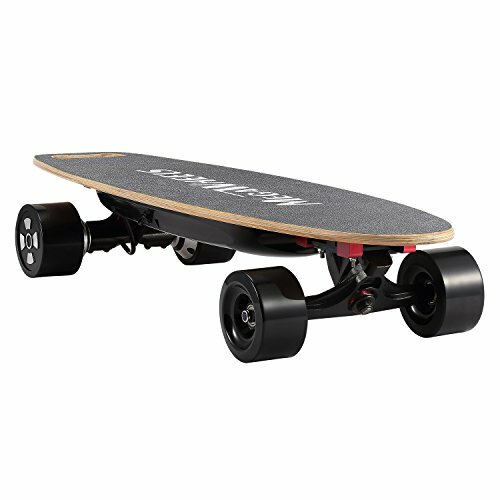 Its top-notch design places the battery into the deck, making it look like a regular longboard. The pintail shaped deck is also suitable for those who are still learning skateboarding. Its top speed is 18.5 miles per hour and can climb a 20-degree heel. Now you can enjoy thrilling urban transportation with this skateboard. Lastly, we have the Atom longboard. It’s unique, as the deck is made of wood. So far, it features the most powerful 1000W motor that can go up hills that you would dare and withstand the rocky steeps for a whole new level of adventure. It also utilizes a superior software to provide smoothest acceleration and braking thanks to its foc sine-wave controller. It’s safe, strong, and reliable. The regenerative braking will help you to brake safely. Not to mention that the deck is made of wood with the beautiful natural finish. Your skateboard will be sure to stand above the crowd if you tend to compare it to standard skateboards you can find in the market today.